Events in Dorset sets out to list the many and varied activities that occur in this beautiful county. Dorset is largely a very rural county with lovely villages and towns, walks or cycleways that traverse delightful countryside. On its southern border is the Jurrassic coast and the pleasant seaside towns of Bournemouth and Weymouth, with the smaller pearl of Dorset - Lyme Regis on its Devon border. Dorchester is the capital. Dorset is beautiful even in winter! Bridport Potato Day 5th January 2019. Bridport United Church, East Street, Bridport. Free Admission. LOTS of seed potatoes and heritage seeds available. One for the gardeners amongst us. UK Dance Championships will be held on 17th January 2019 at the BIC Bournemouth. Admission 50p - Refreshments, homemade cakes, teas, soups. Beerex Corn Exchange, Dorchester. 1st and 2nd February 2019. Only over 18. Potato Days. Drimpton Village Hall which is near Beaminster. 2nd February 2019. Brunches, lunches, cakes and Children'sactivities. Clapton &Wayford Horticultural Society and Pennard Plants. Small admission charge. Potato Days & Seed Fairs Maiden Newton 6th Annual Potato Day. 23rd February 2019. 10.30am - 2.00pm at Maiden Newton Village Hall (DT2 0AE). 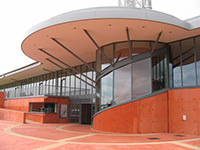 Free entry, refreshments, easy parking and next to the station with local arts and crafts as well. Come and choose from 60+ varieties of seed potatoes (all for sale by the single tuber), 700 heritage seeds, unusual fruit trees, kitchen garden plants, herbs, dahlias and much more! All your growing needs for the new season and plenty of advice on hand if required! For more info ring Charles Le Vay on 01300 320974 (Maiden Newton Allotments Association). Swanage Blues Festival 28th February to 3rd March 2019. Potato Days This is a new event. Sherborne Charity Plant, Potato and Seed Fair. 17th March 2019. 10am to 2pm. Digby Hall, Hound Street, Sherborne. Swanage Steam Ralway Steam Up 29th March to 31st March 2019. Bournemouth Orchid Society Show 60th Anniversary Show. 30th and 31st March 2019. Highcliffe Castle, Rothesay Drive, Highcliffe. 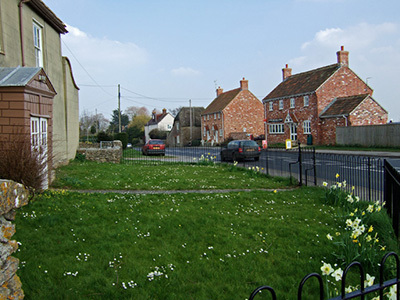 Dorchester is an interesting market town and the county town of Dorset. Thomas Hardy lived most of this life in the area. The Sustrans Cycling Route NCN starts here. Travel Wessex has a page devoted to this cycle ride as a short holiday. Blackmore Vale Part of an Area of Outstanding Natural Beauty rather says it all. Geographically it is in North Dorset but it creeps into Somerset and Wiltshire. The River Stour flows through the vale. Lyme Regis, known as the Pearl of Dorset. A hilly, but very attractive town on the western edge of the county. 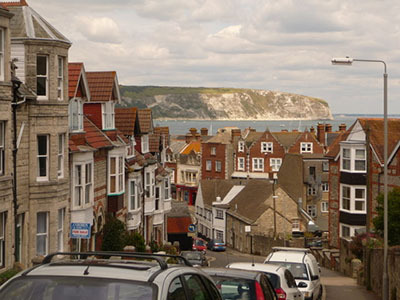 Swanage A very popular seaside resort right on the eastern end of the Purbeck Hills. Lovely spot for aquatic sports!!! Poole The western end of that large seaside area of Christchurch, Bournemouth and Poole. A beach lovers paradise, with Blue Flag beaches. It has its own unique quality, with its quay in the natural harbour. Weymouth is a pleasant and popular family seaside town. Families have been coming here for generations since George III made it popular in the late 1700's! It does not even matter if it is wet, there is so much to do! Bradbury Rings was an Iron Age Hill Fort and a popular tourist attraction. It is within Kingston Lacey grounds which are National Trust. The Rings are open more or less all year.